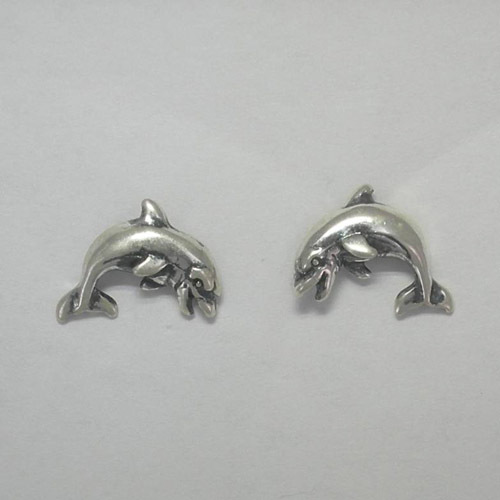 Desc: Sterling Silver small Dolphin post earrings. Each Dolphin is jumping and smiling and are happy. The earrings have bright polish finish and antiquing to enhance design.